New Day Christian Church of Las Vegas is excited to announce a very special speaker, Robert Brock with Voice of the Martyrs will be speaking on Sunday, August 26th. 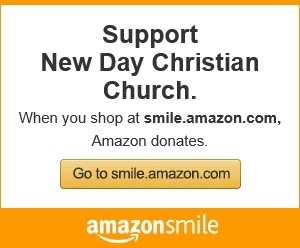 NEW DAY CHRISTIAN CHURCH IS LOCATED AT 2651 CRIMSON CANYON DR. Stories of Christian persecution have been prominently featured in the news recently. When we see our brothers and sisters suffering, we wonder what we can do to help. Robert has been with The Voice of the Martyrs for over 24 years. He has traveled to dozens of countries around the world and has shared in nearly 2,000 churches and venues reaching thousands with the message of our persecuted family. He is an excellent communicator bringing to life the faith and courage of our persecuted brethren. Through video, photos and Robert’s firsthand accounts, his presentation has informed, challenged, and inspired many to renew their walk with the Lord. Robert Brock has been with The Voice of the Martyrs since 1993. As one of their national speakers, he has shared in hundreds of churches and venues reaching thousands every year with the message of the persecuted church. He is an excellent communicator bringing to life the faith and courage of our persecuted brethren. His multi- media presentation has informed, challenged, and inspired many to renew their walk with the Lord. Before joining VOM, Robert and his family lived in Europe working with refugees from Communist and Islamic countries. Now he travels throughout the United States and the world sharing the message of today’s persecuted church and VOM’s work on their behalf. Robert has a unique ability to connect the overcoming faith of our persecuted brothers and sisters with churches, colleges, seminaries, Christian schools, home-schools, and Bible studies throughout the country. Robert has ministered in Europe, Africa, Asia, South America and the Middle East, including Pakistan, Vietnam, Sudan, China, India, Iran, Egypt, Iraq, Indonesia, Columbia, Bangladesh, Nigeria and Nepal. On his overseas travels, he meets with families of martyrs and delivers aid, relief, and spiritual encouragement. Robert is able to assure our brothers and sisters that as part of God’s family, they are not forgotten. The Voice of the Martyrs (VOM) is a nonprofit, interdenominational missions organization that offers practical and spiritual help to persecuted Christians around the world. Founded in 1967, VOM is dedicated to inspiring all believers to deepen their commitment to Christ and to fulfill His Great Commission no matter the cost. VOM is headquartered in Bartlesville, Oklahoma with thirty affiliated international offices, and an enormous team of servant-hearted volunteers. Explore the website listed below to learn more about VOM’s history, founders, current projects, and vision. Our ministry is based on Hebrews 13:3:Remember them that are in bonds, as bound with them; and them which suffer adversity, as being yourselves also in the body.